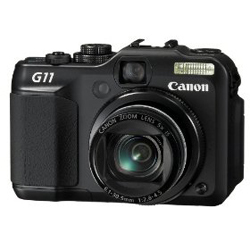 Photography Blog has reviewed the exciting new compact camera from Canon, the Canon PowerShot G11. I find the G11 exciting because Canon has lowered the amount of pixels on the image sensor compared to the G10. Let us hope this move will improve image quality. Photography Blog ends up giving the Canon PowerShot G11 a “Highly Recommended” 4.5 out of 5 stars rating. It gets a good rating because the camera is able to produce very good pictures and has a lot of nice features. The only downside is that you can not use other lenses which you can on the new Olympus Pen 1 and Panasonic GF1. Read the full review of the Canon PowerShot G11 camera here.